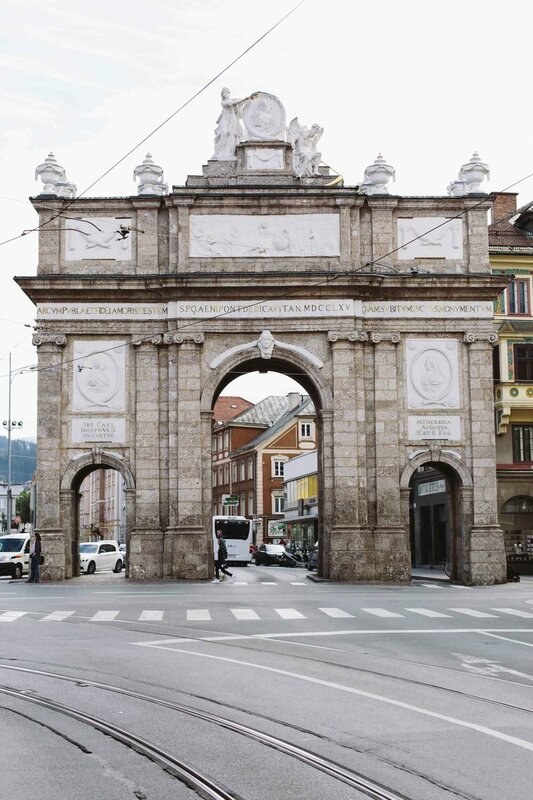 Chris and I thoroughly enjoyed getting to know Innsbruck and I wish we could have spent more than three days exploring this colorful Austrian city. 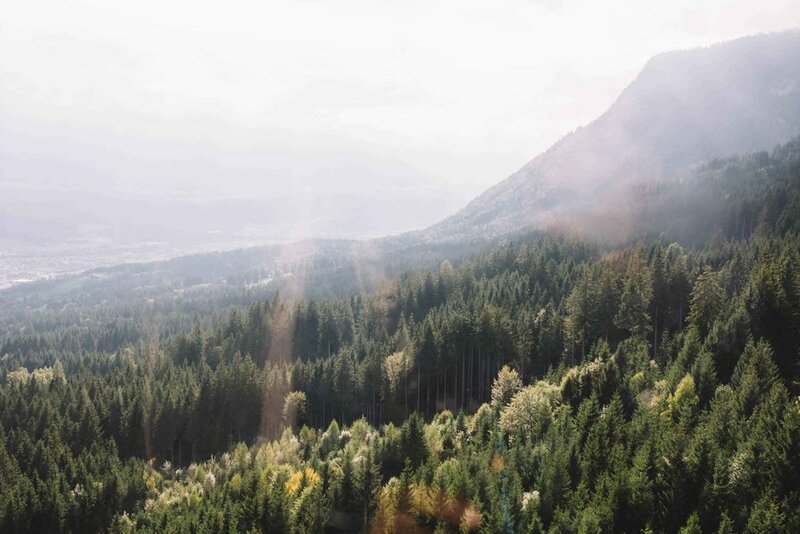 The thing that makes this mountain town so memorable is its proximity to the outdoors. 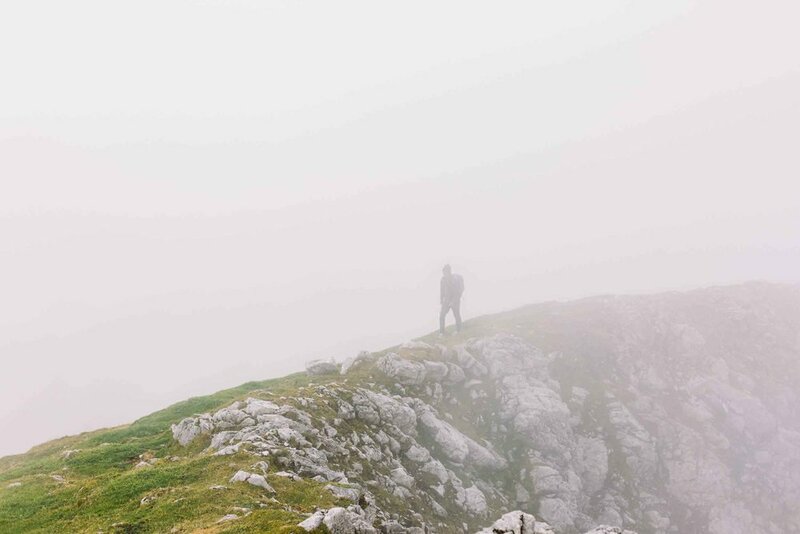 One minute you can be lounging at a café or visiting museums and the next, up on a mountain, setting off on an outdoor adventure. 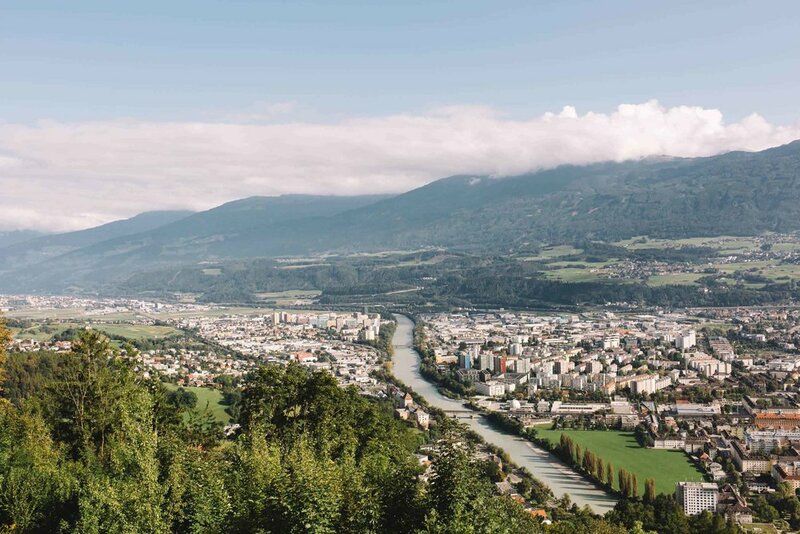 For someone like me who’s committed to the outdoors but has a love affair with the city, Innsbruck is the perfect destination for experiencing the best of both worlds. If you're short on time like we were, plan to focus on Innsbruck's most memorable highlights. Here's my checklist for the perfect introduction to this vibrant city in the Austrian Alps. 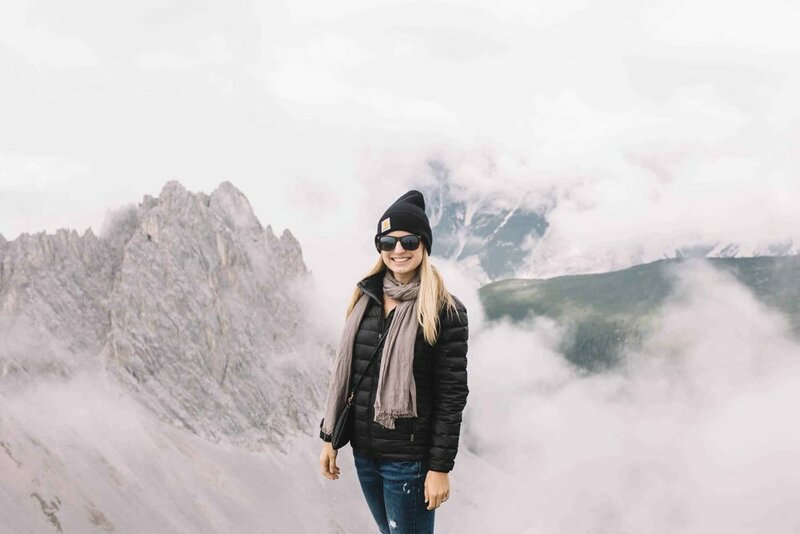 My favorite part of our time in Innsbruck was visiting the Karwendel Nature Park. It was so beautiful, even with the cloudy and chilly weather. The park is situated in the Nordkette Mountains and takes you high above the city. There are countless outdoor activities in this park area (hiking, biking, climbing, skiing in the winter, etc.) but if all you do is take in the view, it’s enough. 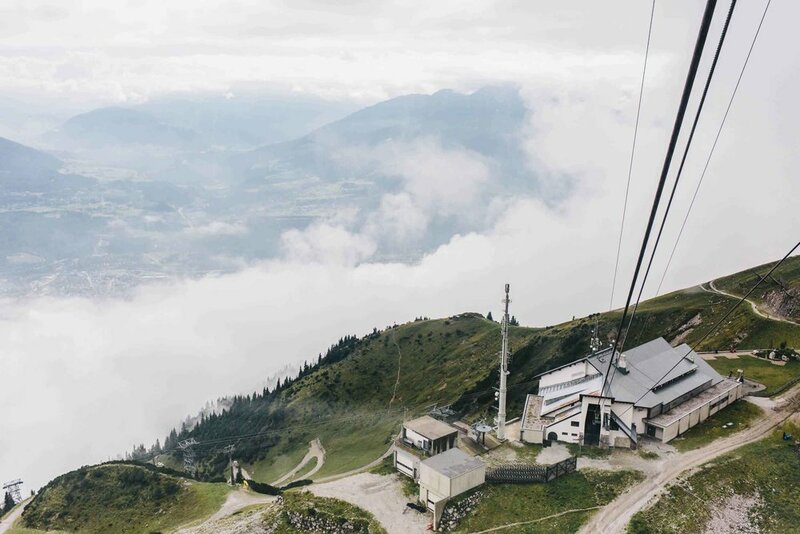 Getting to the top of the mountain involves taking an underground tram and two cable cars. This is definitely one of those times when the journey really is as good as the destination. The Imperial Palace was built during the rule of Emperor Maximilian the first and is the perfect spot to visit if you want an introduction to Austrian royalty and a bit of Austrian history. The palace is home to some beautiful renaissance art and architecture and is one of the most culturally significant buildings in all of Austria! The audio-guided tour of the Imperial Palace was perfect because it allowed us to move through at our own pace. We spent a little extra time in my favorite room, the Giant Hall, which is a fabulous banquet room with bright paintings covering the ceiling. The only downside is that no photos are allowed inside, so the intrigue of the palace is left only to your imagination. The Old Town of Innsbruck is car-free zone and a great place to explore. Walking through the small alleyways and lively streets makes you feel like you’ve been transported to a medieval time. This is a great place to be a traveler since there are many fun stores, cafes, and restaurants but not too many tourist shops or traps. And one side note: Innsbruck is known for brunch. You heard me—a whole city that brunches. That said, there are many great places to grab the most important meal of the day. Winning! 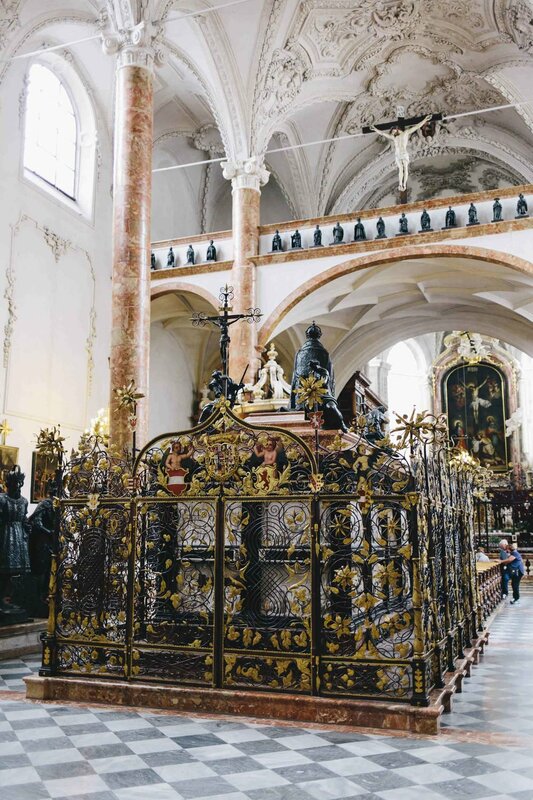 The Court Church houses the tomb of Maximilian the first and is a site to behold. In fact, the ornate marble tomb is the most important historical monument in the Tyrol region. It’s true that after a few months in Europe, every church does start to look the same, but both Chris and I found it very interesting to visit this church. 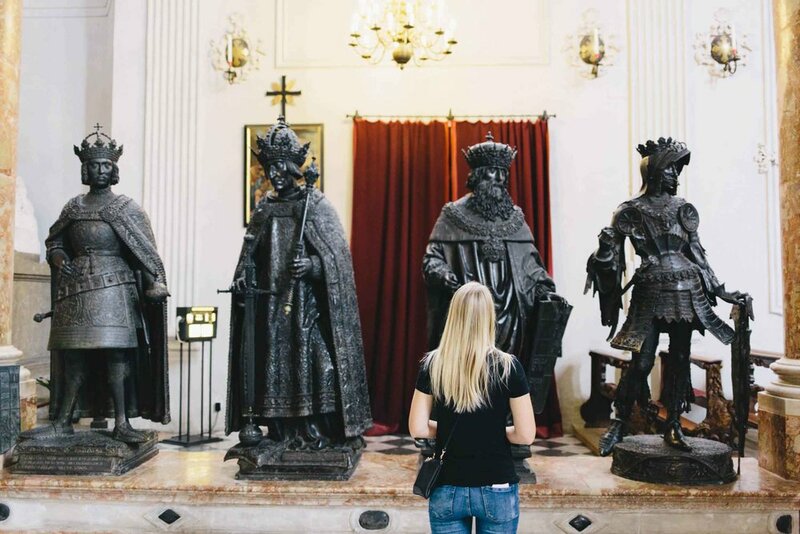 Not only is this a unique way to learn a bit about Maximilian the first, but the marble tomb and the 28 giant bronze statues that guard it are truly incredible works of art. The Bergisel Ski Jump was one of the venues used for the Olympic Winter Games. This site is located opposite the Nordkette Mountains, so it's a good excuse to visit another part of the city. Having never seen a ski jump up close, the tour of this site was so cool! 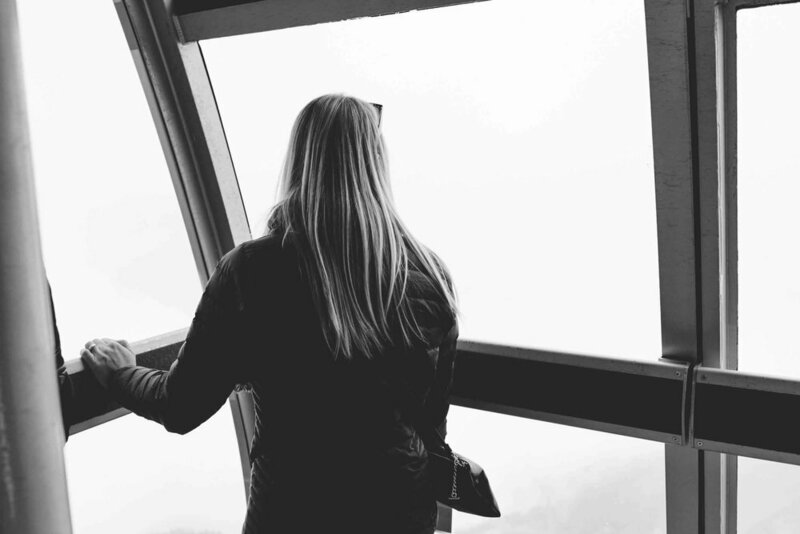 The views overlooking the city and the mountains were incredible and it was interesting to learn about this daring Olympic sport. 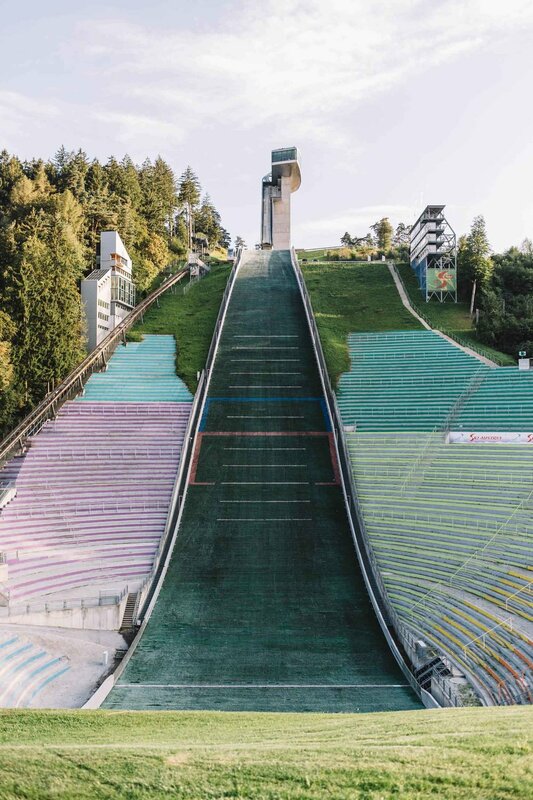 I will say that after standing at the top of that 164 foot jump, I can safely say that I never want to be a ski jumper - I can't imagine launching myself off that ramp! 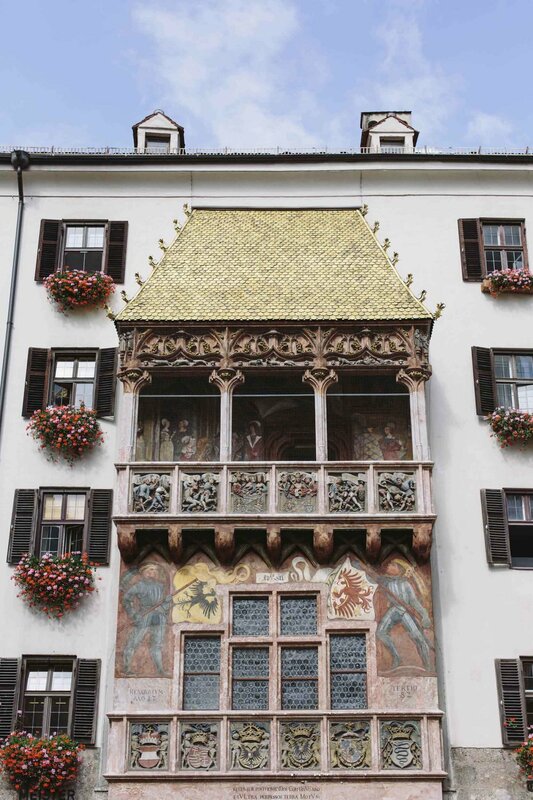 To learn more about beautiful Innsbruck and plan your own trip, visit Innsbruck Tourism. in 2016, my husband and I quit our jobs, left our home in Hawaii, and went traveling in Europe and Thailand for 6 months. Enjoy a few stories from our time abroad and beyond!